True Dungeon has set up a very handy online tool that gives OFFICIAL rulings on all Treasure Tokens. It is designed to work along side the Token Guide to give our players official details on tokens. We have made every effort to synch both the Token Database and the Token Guide to have the same information, but if you find an error, please let us know. The site has been designed to work well on your desktop, laptop and portable device. Not only is it a fast place to find out info about a specific token, but it also has some cool Search functions, too. A big thanks to Druegar for his tireless efforts to compile such a massive reference work, and another thanks to Dave Radtke for his years-long devotion to detailing tokens. This new website is a cool new tool for players and collectors -- as both an instant info spot and a great research tool. We have constructed a handy spreadsheet to help you classify and organize your Treasure Tokens so that you can process them for our Token Exchange Program. Please click on the link below to download the file. CLICK HERE to download spreadsheet. 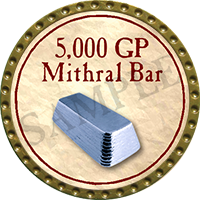 True Dungeon Treasure Tokens have been a player favorite for ten years, and the popularity of collecting tokens keeps expanding every year. One of the reasons for this popularity is the Token Exchange Program. With this mail-in service, collectors are able to send in unwanted Treasure Tokens (mostly duplicate Commons and Uncommons) and exchange them for free limited-edition Trade, Reserve or Transmuted tokens. Any "exchange" token orders should be processed in 1-2 business days, and then mailed back via USPS Priority Mail. CLICK HERE to fill out your online transmuting form! 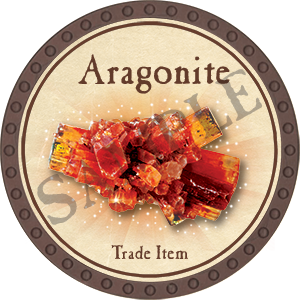 Trade Tokens: There are 12 different Trade tokens available to collectors. 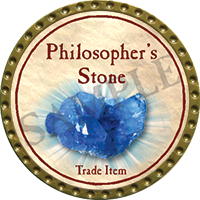 For instance, a collector can send in 25 units of magical Ring tokens, and she will receive back a free limited-edition Philosopher's Stone Trade token. 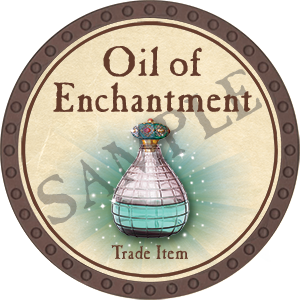 There is a Trade token available for almost any unwanted token -- if a collector has a sufficient quantity to fulfill the recipe. 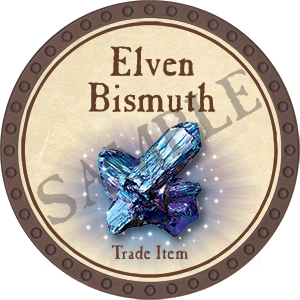 These Trade tokens can be traded with other collectors, and they can be turned in as part of a recipe for a Transmuted Token. 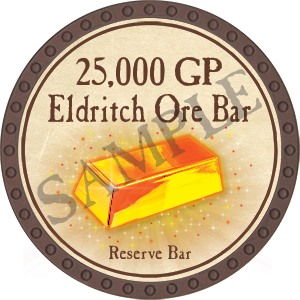 Reserve Tokens: There are three different Reserve tokens which represent a value of 1,000/ 5,000/ or 25,000 gold pieces. For instance, a collector could send in a variety of Common, Uncommon and Rare tokens that have varying gold piece values. 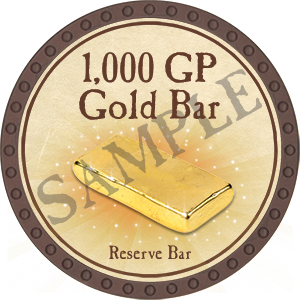 All together the tokens could total 1,000 GP in value, and the collector would receive back a free 1,000 GP Gold Bar. 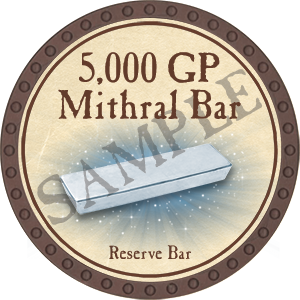 These Reserve tokens can be used to facilitate the trading of large sums of gold pieces, and they are also needed in certain recipes for Transmuted tokens. Transmuted Tokens: There are many different types of Transmuted tokens, and they are some of the most rare and powerful tokens available. 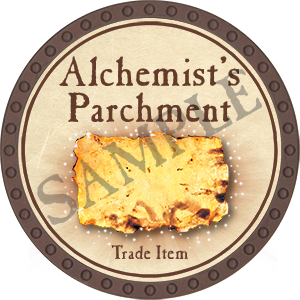 Each Transmuted token has its own unique recipe, and when a collector sends in all the tokens in a recipe she gets that particular limited-edition Transmuted token back for free. Some of the Transmuted tokens are available for two years, while others are available indefinitely. The most powerful Transmuted tokens may require a collector to gather the necessary tokens for several years, but in the end the collector will have a very rare and powerful token indeed. Answer: Please try to avoid this situation if possible. If you cannot, in the above example please place 24 pts of tokens separately in 3 bags, and then place the left-over 3 pts token in a separate non-labeled bag. Then, take all four bags and place them together in a larger ziplock bag. This is how we will know that this special case has occurred. When is the cut-off date for sending in tokens for exchange prior to a convention? We MUST receive your shipment two weeks before the start of the convention if you want to receive it back before that convention. All orders RECEIVED less than two weeks before a convention will be processed around a week after we return from that convention. Can I send more than one of the same type of transmute in the same bag? Example : Enough tokens to make 3 of the trade tokens for Dwarven Steel in one bag? Or do I need to break them down into 3 bags? Answer: Please place them in seperate bags -- so you would need 3 different ziplock bags. The snack-size ziplock bags work great for this kind of need. We ask you to do it this way to make the fulfillment process much more error-free. Can I send in for more than one Transmuted Token in one shipment to TD? Example 1 : From above, if they have to be seperate bags, can I stick many ziplock bags into one box? Example 2 : I have one of every type of Trade Token, each in their own bag, can I stick that in one box? Answer: Yes. You can put any number of different kinds of ziplock bags in any Small Flat Rate box. Just be sure the appropriate printed-out label is placed inside each bag. Something that wasn't abundantly clear to me; if I'm trading in for say Improved Ring of Evasion and I intend on making the trade items in the same shipment (toward the ring). Do I fill out both sections or just one? IE Just the ring, or both the ring and the trade items I'm making for it as well? Sorry for the confusion. If I understand your question, you want to make an Improved Ring of Evasion, but you don't have all the required tokens to do that now. You want to send in a bunch of tokens to make those Ingredient tokens, and then apply those tokens to make the Improved Ring of Evasion. Unfortunately, the process has been designed to eliminate errors and confusion which leads to collectors upset with us because we don't agree with the several staged process the collector has in his head. Instead, we are making the Exchange program a step-by-step process where you must gather the exact recipe tokens before sending in for that new token. So, in your case, you will have to send in for all the Trade and Reserve tokens you need for the Improved Ring of Evasion, and then make a second shipment with those exact recipe tokens. I realize this situation is not a perfect one, but I feel strongly that this is the best way to go moving forward. I want to avoid, if possible, situations where collectors and TD come into conflict because of complicated token exchanges. Let's keep them simple and easy to understand. I realize it costs more in shipping this way (for both of us), but I think an orderly exchange program is the best way to go. There is an option available in the TD Store to "order" one or more Trade tokens. This "ordering" is not actually buying the specific tokens (which is NOT possible), it just starts the process for collectors to convert extra tokens into Trade tokens. 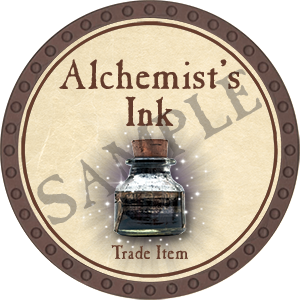 The website will guide collectors through the online forms, print out an address label & packing slip, listing of the quantities of tokens to be shipped to TD, and a list of the Trade tokens the player expects to have mailed back. All of this is then mailed to TD HQ. Your transaction will be processed 1-2 business days after it's received. There will be a flat $5.00 shipping fee for all shipments. If you wish to purchase new tokens as well as send in old tokens to be converted to Trade, TS will gladly ship both lots simultaneously for the same $5.00 rate. You can only get Trade tokens by using the online ordering system. Trade tokens will no longer be available during Gen Con. Mail-in Trade redemptions will cease for a brief period immediately before and after Gen Con each year. The exact dates for the mail-in blackout period will be posted as we get closer to Fall. Other than the aforementioned blackout period, Trade tokens may be redeemed year-round. All orders sent to collectors will be shipped via USPS Priority Mail with Confirmation Delivery service within 1-2 business days, and the order should arrive within 1-3 business days once shipped. We may occasionally run out of stock, but if that happens we will notify you of the delay and expected restock date. We highly recommend you send us your Trade token shipment with some kind of tracking! True Adventures, Ltd. is NOT responsible for any tokens lost in the mail while in route to TD HQ. CLICK HERE to view the Trade Token Worksheet. It is a great tool to help classify tokens into their proper Trade Token. For a complete list of which tokens are considered a "weapon" or "armor", please reference the Trade Token Worksheet. 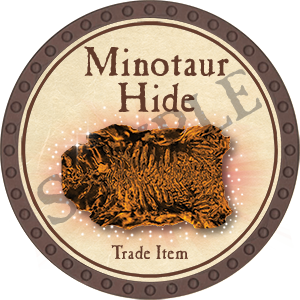 In general, if a token does not fit in any of the other categories and is eligible for exchange, it goes in the Darkwood Plank category. 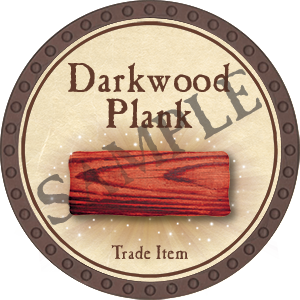 For a complete list of which tokens are eligible for Darkwood Plank exchange, please reference the Trade Token Worksheet. For a complete list of which tokens are considered "weapons", please reference the Trade Token Worksheet. Shurikens are Weapons. For a complete list of which tokens are considered "ammunition", please reference the Trade Token Worksheet. 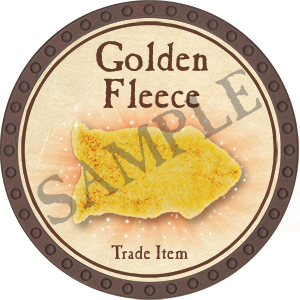 Golden Fleece: 10 of any Monster Trophy token (any year or combination of years). Monster Trophies (Ingredients) can only be obtained by drawing them from the Random Treasure Boxes at the end of a True Dungeon adventure. For a complete list of Monster Trophies, please reference the Trade Token Worksheet. For a complete list of which tokens are considered "armor", please reference the Trade Token Worksheet. *In general, “Bracers” (plural) are considered clothing and “Bracer” (singular) is a weapon. 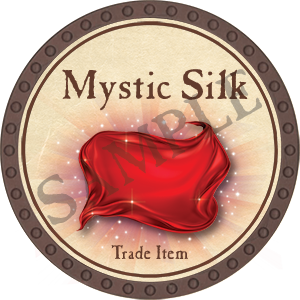 For a complete list of which tokens are eligible to be exchanged for Mystic Silk, please reference the Trade Token Worksheet. 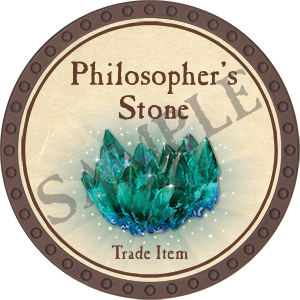 For a complete list of which tokens are eligible to be exchanged for Philosopher's Stone, please reference the Trade Token Worksheet. There is an option available in the TD Store to "order" one or more Reserve tokens. This "ordering" is not actually buying the specific tokens (which is NOT possible), it just starts the process for collectors to convert smaller units of tokens with a GP value into larger (and less back-straining) denominations, referred to as Reserve tokens. The website will guide collectors through the online forms, print out an address label & packing slip, listing of the total GP value of the tokens to be shipped to TD, and the total GP value of all the Reserve tokens the player expects to have mailed back. When sending in tokens to be converted to Reserve, please make sure the total GP value of all the tokens you’re submitting is evenly divisible by either 1,000. All of this is then mailed to TD HQ. Your transaction will be processed 1-2 business days after it's received. There will be a flat $5.00 shipping fee for all shipments. If you wish to purchase new tokens as well as send in convert small GP-value tokens to Reserve(s), TS will gladly ship both lots simultaneously for the same $5.00 rate. You can only get Reserve tokens by using the online ordering system. Reserve tokens will no longer be available during Gen Con. Mail-in Reserve conversions will cease for a brief period immediately before and after Gen Con each year. The exact dates for the mail-in blackout period will be posted as we get closer to Fall. Other than the aforementioned blackout period, Reserve tokens may be exchanged year-round. We highly recommend you send us your Reserve token shipment with some kind of tracking! True Adventures, Ltd. is NOT responsible for any tokens lost in the mail while in route to TD HQ. Below is the list of the three currently available Reserve tokens. In 2012 we added a new mechanic for treasure tokens this year: Transmuted Tokens. Tokens previously known as Combo, Relic and Artifact tokens will all now fall under the “Transmuted” token umbrella. 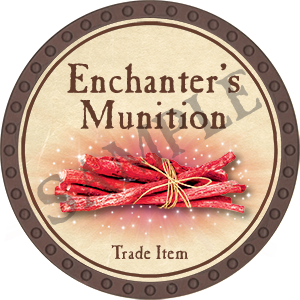 Transmuted tokens are like the old Combo tokens in that you’ll turn in several “ingredients” to make a new, more powerful token. It is VERY important that you follow the instructions below regarding how to package your tokens for mailing in the Token Exchange Program. You can save yourself a lot of heartache by making sure your tokens are properly packaged. The tokens are heavy, and if they are shipped loose in a box they will break open the box. We are very keen to avoid situations where we have to contact collectors and tell them that they are only getting half of their requested Exchange tokens back because their box tore open during shipping. The Small Flat Rate boxes fight tightly inside the Medium and Large Flat Rate boxes, so we highly recommend that you first place all your SNACK SIZE ziplock bags of tokens inside a Small Flat Rate Box before securing them inside the larger boxes (if needed). You will need to tape the Small Flat Rate boxes in place inside the larger boxes if you do not send the maximum Small Flat Rate boxes inside the box. This taping will make sure the smaller boxes don’t shift around during shipping. The first step is to be sure to place each group of 25 or so tokens in a SNACK SIZE ziplock bag with the proper label facing out. 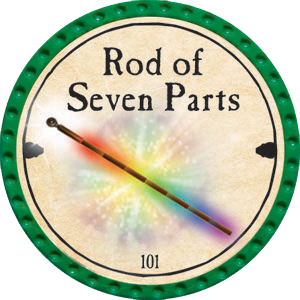 This group of tokens is what you would be normally turning in for one Trade, Reserve or Transmuted token. Sometimes, you might turn in more than 25 tokens for a single token, so a LARGER ziplock bag is required. Just pack all your 25+ recipe tokens into that larger ziplock bag and place the label inside it--facing out. You can fit approximately 175 tokens inside a SMALL FLAT RATE box from USPS. This equates out to approximately 1,050 tokens for a Medium Flat Rate box and 1,575 tokens in a Large Flat Rate box. Always ship the tokens loose inside the ziplock bag. Do not tape or roll them together inside the bag. The second step is to close up the Small Flat Rate boxes and then place them inside either a Medium or Large Flat Rate box--if you are sending in more than 175 tokens. If you don’t place the maximum number of Small Flat Rate boxes inside the bigger box, be sure to tape around the perimeter of the top of the smaller boxes inside the larger box. This will secure the smaller boxes down and prevent them from rolling around during shipping. The final step is to affix the shipping label that was printed out in your Token Exchange Program documents. Please use tape to secure the label to the box so that the label is completely covered. This will ensure that the label is not torn during shipping. We recommend that you spend the extra $2.55 and make use of the Signature Confirmation service. This will help to protect your shipment. NEVER send tokens in an envelop of any kind. Please use a sturdy box. USPS Priority boxes are FREE when you use USPS Priority Mail to send in your tokens. Below is a properly taped and addressed shipment of Exchange tokens (Trade, Reserve or Transmuted). Three strips of thick quality packing tape is used along the top and bottom (middle seam) of the box. More tape is added along all four corner edges. Finally, use tape to secure the address label to the box--completely covering the label. NOTE: You do NOT have to use the provided mailing address label if you would rather go to www.usps.com to print your own label. Doing so will actually save you a dollar or two! 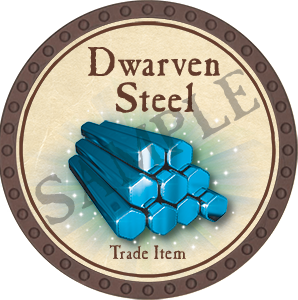 Example: Enough tokens to make 3 of the trade tokens for Dwarven Steel in one bag? Or do I need to break them down into 3 bags? Answer: Please place them in seperate bags--so you would need 3 different ziplock bags. The snack-size ziplock bags work great for this kind of need. We ask you to do it this way to make the fulfillment process much more error-free. Example 1: From above, if they have to be seperate bags, can I stick many ziplock bags into one box? Example 2: I have one of every type of Trade Token, each in their own bag, can I stick that in one box? Answer: Please try to avoid this situation if possible. If you cannot, in the above example please place 24 pts of tokens seperately in 3 bags, and then place the left-over 3 pt token in a seperate non-labeled bag. Then, take all four bags and place them together in a larger ziplock bag. This is how we will know that this special case has occurred. If I'm trading in for, say Improved Ring of Evasion, and I intend on making the trade items in the same shipment which will go toward the IRoE, do I fill out two sections or just one? I.e., just the ring, or both the ring and the trade items I'm making for it as well? To summarize, you want to make an Improved Ring of Evasion, but you don't have all the required tokens to do that now. You want to send in a bunch of tokens to make those Ingredient tokens, and then apply those tokens to make the Improved Ring of Evasion. Unfortunately, the process has been designed to eliminate errors and confusion which leads to collectors upset with us because we don't agree with the several staged process the collector has in his head. Instead, we are making the Exchange program a step-by-step process where you must gather the exact recipe tokens before sending in for that new token. So, in this case, you will have to send in for all the Trade and Reserve tokens you need for the Improved Ring of Evasion, and then make a second shipment with those exact recipe tokens. We realize this situation is not a perfect one, but I feel strongly that this is the best way to go moving forward. We want to avoid, if possible, situations where collectors and TD come into conflict because of complicated token exchanges. We try to make things simple and easy to understand. We realize it costs more in shipping this way (for both you and us), but we think an orderly exchange program is the best way to go. Sometimes we have a Token Exchange Partiy in Indianapolis on a Saturday in June for those who would rather do exchanges in person. Dave Radtke has put together a nice "yearbook" of each token collection by year -- going all the way back to 2003 when we only sold about 100 packs at 2003 Gen Con So Cal.